Why New Years Resolutions Fail – It’s NOT Your Fault! Every year people vow to make enormous overnight changes and then wonder why new years resolutions fail, blaming themselves for a lack of willpower or some other imagined personal shortfall. Well, I am here to show you why new years resolutions fail and that it truly is not your fault. Lack of a plan. How many times have you heard someone say “This year I am going to LOSE the weight starting tomorrow!”. And they haven’t even acquired the healthy foods they need to embark on their “plan”. Or someone says “Starting tomorrow I am going to get organized” without first figuring out what system works for them. You wouldn’t say “Tomorrow I am running a marathon!” and expect to be at the starting line in the morning, right? This is no different except for the size of the challenge. People pin down their “whats” but not their “whys”. Take weight loss for example. You aren’t likely to be successful with the what – losing weight – if you haven’t identified your why – being more fit, wearing cuter clothes, feeling better overall. Or people say they want to get a new job – a great what – but won’t get far in their search until they know their why – better upward potential, more money, nicer colleagues. People expect to fail. I know, crazy, right? But how many people make a resolution and – BOOM – they wake up with everything different? Um, not so many. Let’s face it, if making and keeping resolutions were easy, then there would be way more achievers everywhere in the new years, right? All of these reasons are perfectly legitimate and totally understandable. No one can make something happen without a plan, you can’t stay motivated if you don’t know why you want something and if you believe that you can’t do something, well, gee, who can get behind getting excited about that? So what can you do to make a new years resolution that will succeed? It’s actually easier than you think. You just need to flip your thinking a little bit. When you resolve to do something, you are resolving to develop a habit, a productive, good habit. But until said thing becomes a habit it’s hard to make it happen. So what if you were to take a bad habit and replace it with a good habit? For instance, I often “just check” my Facebook notifications in the morning and I can get lost on Facebook if I am not careful; two minutes can turn into more before I know it if I am not vigilant. So instead of clicking on that silly globe and taking a peek at what everyone has to say, I am going to instead go over my to do list for the day and prioritize all the tasks that I have listed that I want to get done. I will be significantly more productive and I am betting that some of the time I might have wasted poking around on Facebook will go to good use in getting a head start on that list. Most bad habits are a result of stress or boredom. How many times do you feel overwhelmed by a project that you are due to start and instead go grab a snack or check your email or start a game of solitaire? If you are able to replace that habit with something that brings you closer to the success you are wanting, your results are exponential because not only are you able to cut out the things that delay you from achieving, good feelings are more addictive than bad ones and when you realize that your NEW habits are bringing you closer to what you want, you will naturally want to do more of them. How awesome is THAT? 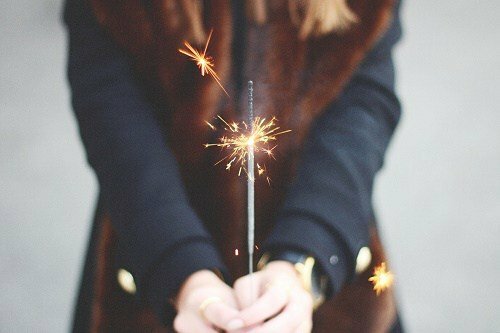 So don’t waste your time on why new years resolutions fail – look at your habits and patterns, figure out which ones you want to let go of, figure out what you want to DO to get you closer to what you WANT, and start swapping things out. You will be amazed at what you can accomplish! "Brenda is a true joy to work with! She is knowledgeable, on point and will meet you wherever you are at. Some weeks, I’m not exactly sure what I need, but as we start talking, it quickly becomes clear and before the call is over, I’ve taken pages of notes and clearly know my to-dos to move forward! She rocks everything SEO too!!! " "Brenda was invaluable as I developed my brand and went about developing the systems to support it. Her knowledge of web development, advertising, broadening my customer base, marketing and more were crucial tools for me as I launched this phase of my business. She was my cheerleader when I doubted myself, when I had successes, and, most importantly, when I was beyond frustrated with my "technology issues." I highly recommend her as a business coach!"